BMW's 3-Series has always been an example of how to combine luxury and sportiness. 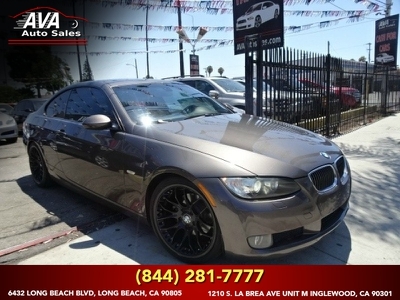 Our 2007 BMW 3 Series 335i Coupe in Black over black interior is just that and it features BMW's exceptional 3.0 Liter 6 Cylinder is paired with an Automatic transmission which uses technology to seamlessly adjust both the intake and exhaust timing. This gem of an engine produces 300hp and an equal amount of torque. The BMW 3-Series continues to be the benchmark against which other entry-level luxury cars are measured. Power, braking, and handling are perfectly matched to this vehicle's size and intended usage. The way BMW takes care of business inside the cockpit also has a lot to do with the popularity of this breed. The interior includes memory setting, sunroof, a sunroof and so much more!